TIRANA (Albania), January 24 (SeeNews) – NATO has officially launched works at Albania’s Kucova for establishing its first air base in the Western Balkans, the defence ministry said on Thursday. 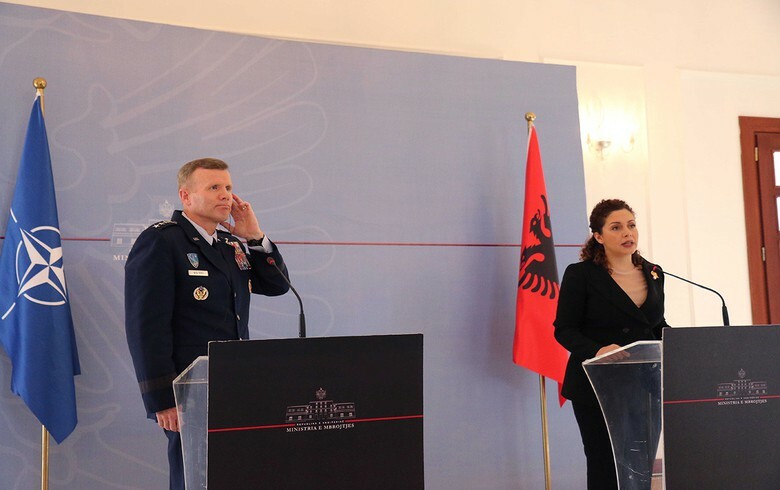 Defence minister Olta Xhacka met in Tirana with Commander Allied Air Command, General Tod D. Wolters, to mark the beginning of the implementation of NATO's project at Kucova Air Base that will take five years to complete, the ministry said in a press release. "Kucova Air Base has unique characteristics with the existing runway located in a convenient geographic position with respect to Albania and the Western Balkans," Wolters said, adding that the Kucova project brings great advantages to NATO’s abilities to monitor the potential combat airspace. NATO will invest over 50 million euro ($57.8 million) in the first phase of modernisation of Kucova Air Base, prime minister Edi Rama said in a Facebook post in August last year. “Kucova will also serve as a national base for the Albanian Air Force and this NATO strategic investment in Albania will bring a new standard to our Armed Forces,” Rama said at the time. Kucova will serve as a support base for NATO providing air transport, logistical support, and support with air policing; as well as support for training and coaching, the defence ministry said last year. The Kucova air base, located some 70 km south of Tirana, was built in the 1950s to host the planes of Albanian Air Force. Albania joined NATO in 2009.